For attaching rail fitting attachments, such as torch and lasers. 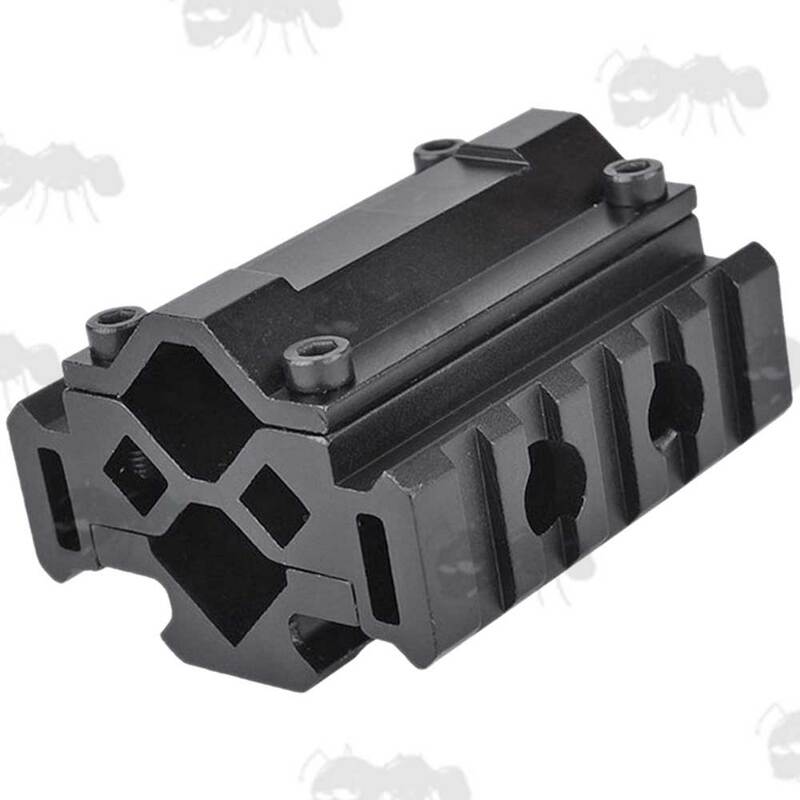 Also available ~ Universal barrel rails and Shotgun barrel rails. Three 61mm long five slot picatinny / weaver rails. For 15mm to 22mm diameter barrel (supplied with two sets of screw lengths). 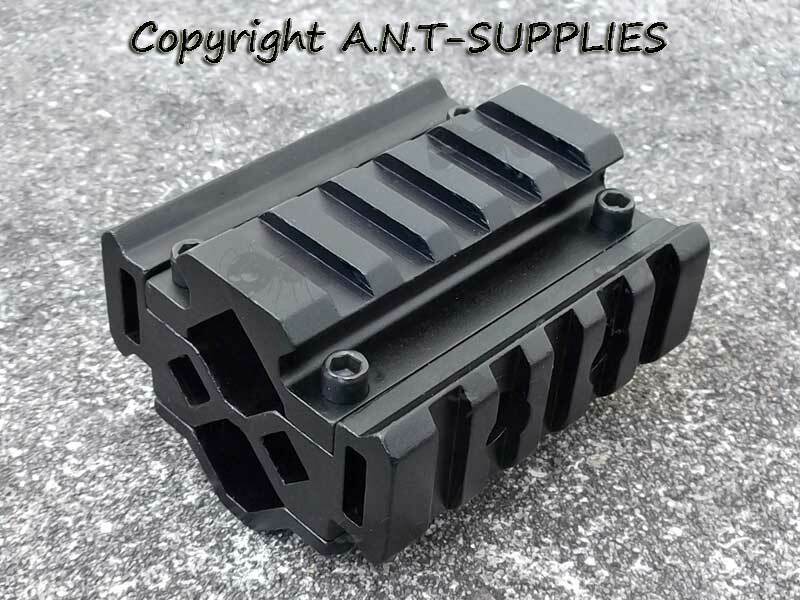 Fits AK series to can attach laser, grip, flashlight and bipod etc. Also fits M14's and other similar sized barrels.